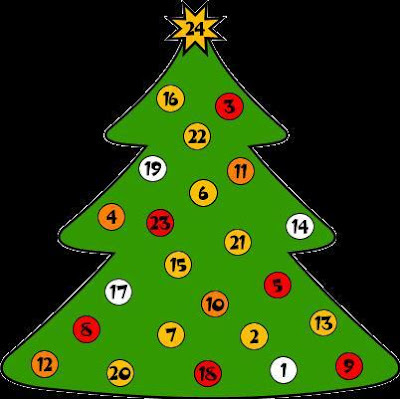 An Advent Calendar is a calendar where you can find a surprise for every day from December 1st to december 24th. If you click on the Christmas tree, you will find out different facts about Christmas in England. But do not try to cheat! You cannot click on the dates which have not arrived yet. Be patient!